After a storm, there are things you can do to make sure you're prepared. The National Association of Insurance Commissioners (NAIC) offers this information to help you better understand insurance, your risk and what to do in the event of significant storm damage. Your first instinct may be to clean up, but it is important to have an accurate account of all damage for your insurance company when you file a claim. Before removing any debris or belongings, document all losses. Take photos or video, and make a list of the damages and lost items. If possible, save damaged items so your insurer can inspect, if necessary. After thoroughly documenting damage, take reasonable steps to avoid further destruction to your home or belongings. Policies call this mitigation. Make temporary repairs, such as covering a hole in your roof or boarding up broken windows. Insurance will typically reimburse the cost of these repairs as part of your claim, assuming the loss was covered. Your company may also reimburse you if you need to find temporary lodging or storage for your possessions. Keep a record of all receipts. Most insurance companies have a time requirement for reporting a claim, so contact your agent or company as soon as possible. Your state insurance department can help you find contact information for your company, if you cannot find it. Insurers often send response teams to disaster areas. Company officials can help you determine what damages are covered, start your claim and even issue a check to start the recovery process. When reporting losses, you will need insurance information, current contact information and a home inventory or list of damaged and lost property. After you report damage to your insurer, it will send a claims adjuster to assess the damage at no cost to you. An adjuster will walk through and around your home to inspect damaged items and temporary repairs you may have made. A public adjuster is different from a company claims adjuster. If you hire a public adjuster to act as your representative during the claims process, you are responsible for paying the pubic adjuster for his/her services. Once the adjuster has completed his/her assessment, he/she will provide documentation of the loss to your insurer to determine your claims settlement. When it comes to getting paid, you may receive more than one check. The first will likely be an emergency advance. Other payments will be for the contents of your home and other personal property. Please note that if there is a mortgage on your home, the payment for structural damage may be payable to you and your mortgage lender. Lenders may put that money into an escrow account and pay for repairs as the work is completed. You have just experienced significant storm damage to your property, and you need to be careful not to sign over your benefits. Some contractors may ask for permission to speak on your behalf with your insurance company. Before you sign, read the fine print. Otherwise, you may inadvertently sign over your benefits and any extra money allowed to you after your claim. An Assignment of Benefits, or an AOB, is a document signed by a policyholder that allows a third party—such as a water extraction company, a roofer or a plumber—to "stand in the shoes" of the insured and seek direct payment from the insurance company. Once it is signed, any rights or benefits of the policy will go to that third party. So, if it costs $2,000 to repair your roof and your claim is more than that, technically that third party is entitled to the rest of that money. Several states, such as Florida, have experienced an influx of predatory contractors who seek out homeowners who have a loss covered by their policy. According to the Florida Department of Financial Services, there were 405 AOB lawsuits in 2006, and that number rose by 70 times to 28,200 by 2016. You are not required to sign an AOB to have repairs completed. You can file a claim directly with your insurance company, which allows you to maintain control of the rights and benefits provided by your policy in resolving the claim. Home repair fraud is common after a natural disaster. Contractors often come into disaster-struck regions looking to make quick money by taking advantage of victims. It is a good idea to do business with local or trusted companies. Ask friends and family for references. You can also check with the Better Business Bureau to ensure contactors are licensed in your state. Your insurer may also have recommendations. Always get more than one bid on work projects. 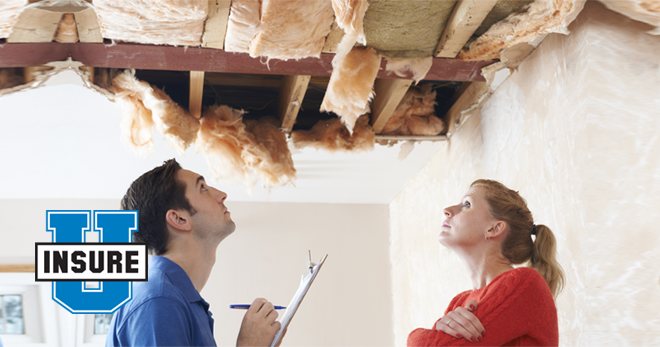 Your adjuster may want to review estimates before you make repairs. States have rules governing how insurers handle claims. If you think that your insurer is not responding in a timely manner or completing a reasonable investigation of your claim, contact your state insurance department. You can find more information on disaster preparedness at Insure U. The NAIC is also offering tips on what to do before the storm hits and special considerations for flood insurance.